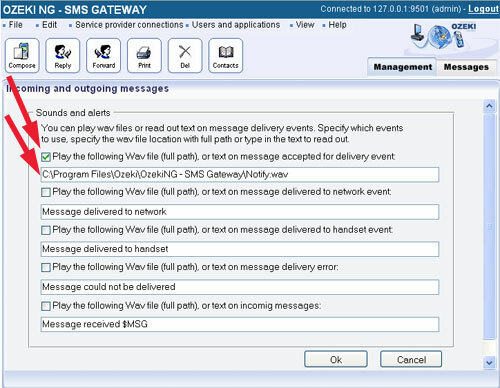 The Ozeki NG SMS software provides services to give information about status of the SMS message with sounds. In this section we introduce these functions. You can receive information about the status of the outgoing messages. You have two ways. First one is read out the event message you have selected. The second option: playing your own Wav file. To set up reading out the event messages is easy on the Edit/Sound notification form. Select the check box that events you would like to notice with sound file. Eg. 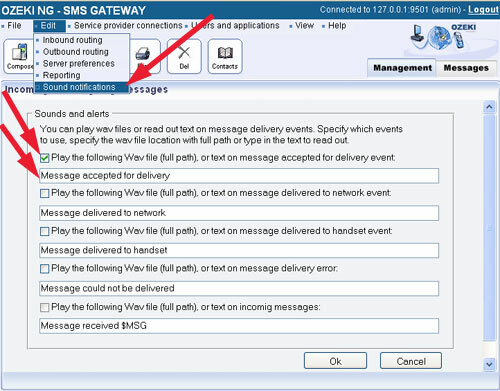 : Select the message accepted for delivery event checkbox. When the message accepted you will hear the following text to read out:Message accepted for delivery(Figure 1). 1. Read out the "Message received". In the text box leave only the "Message received" text. 2. Read out the "Message received" and the text of the SMS message. 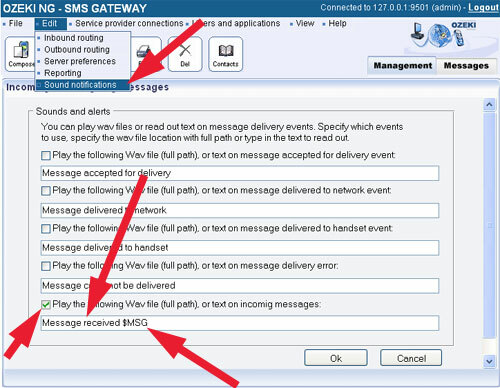 In the text box leave the "Message received" text and the $MSG command (Figure 3). 3. Read out the the text of the SMS message. In the text box leave only the $MSG command.